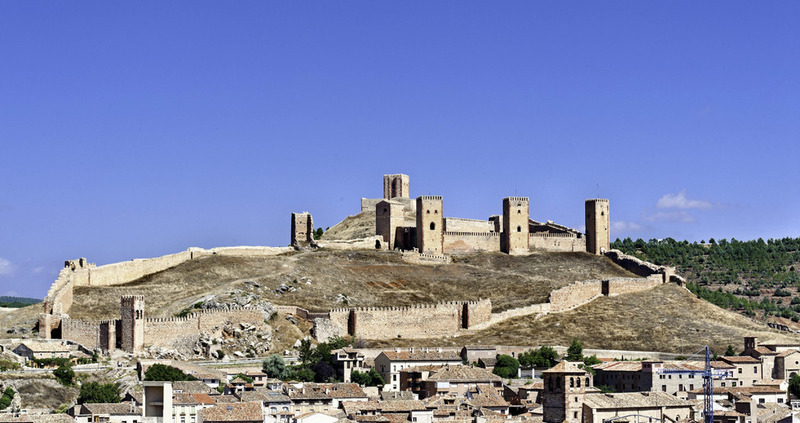 It’s expanse, its characteristics, and having been the head of the importantSeñorío de Molina- almost an independent nation of Castile and Aragón - make this must-visit. 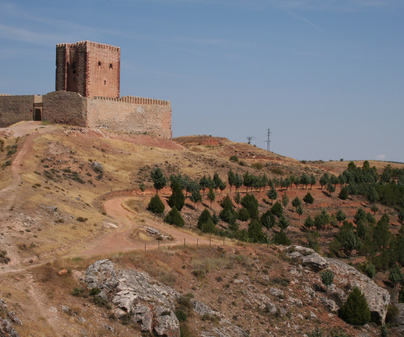 In the castle of Molina we must highlight the fortress surrounded by a wall, and the so-called Tower of Aragón. 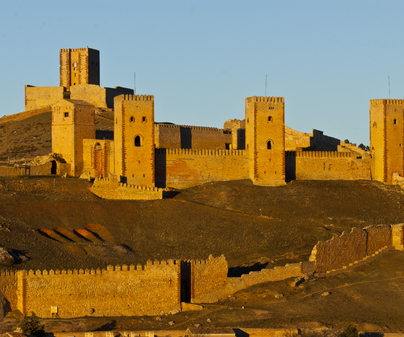 The fortress is from the 12th century and was constructed by Manrique de Lara, the first lord of Molina. The Tower of Aragon was constructed upon an Arab castle, and that one upon a prior Celtiberian fort. Access is through thePuerta del Reloj(Clock Gate), which is part of the wall that surrounds the enclosure, with its watch towers, leaving a large space in its interior, almost enough to house a medieval city. This is not a coincidence, because in the 13th century, when the lady of Molina was Doña Blanca Alfonso, it housed an entire neighborhood. The remains of the church ofSanta María del Collado(St. Mary of the Hill), Romanesque, of which the nave floor and the column bases remain, is proof of such. There is also in this interior enclosure, oralbacara,a natural chasm, known asCueva de la Mora(Cave of the Moorish woman). The access to the actual castle is through a gate with a pointed arch. Pay attention to the defenses that stick out to protect the fortress, and the upper wooden balcony. Passing through you will notice the great thickness of the walls. The towers have three floors, with large windows with pointed arches, and connected by metal stairs. Over head we can see the ribbed vaults, decorative remains on the walls, and soldiers’ writings from throughout the ages that occupied the fortress. In the parade grounds were the Lord of Molina’s residences, the stables, kitchens, stove, rooms, well, cistern, storage areas, and dungeon. 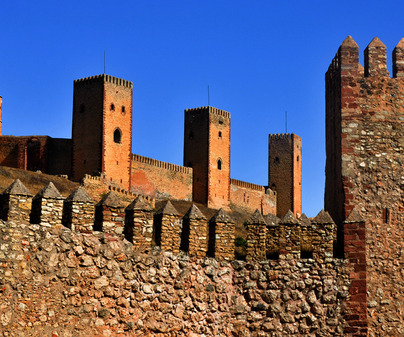 We arrive from the castle to this second fortress, a pentagonal tower surrounded by a wall with battlements. It is a reconstruction from the 19th century, although here the original Arab fortress and Celtiberian fort were situated. The tower has three floors, with a simple access space on the south wall. It has three windows, the last one with a rounded arch. At the top, a terrace with battlements allows you to see almost all of the region of Molina. The city of Molina, at the foot of the castle, has preserved the Jewish quarter and a Moorish sector, a Romanesque bridge, and numerous house-palaces, a reflection of the splendor that it reached as the capital of the independent dominion of Molina.